After exploring October China wholesales, we now shed some light on all the new locally produced launches hitting dealerships for the month so you are up-to-date on the fastest-evolving market in the world. Note these updates remain based on wholesales data. October wholesales plunged Chinese sales into YTD decline with the cold snap now hitting all segments of the market. 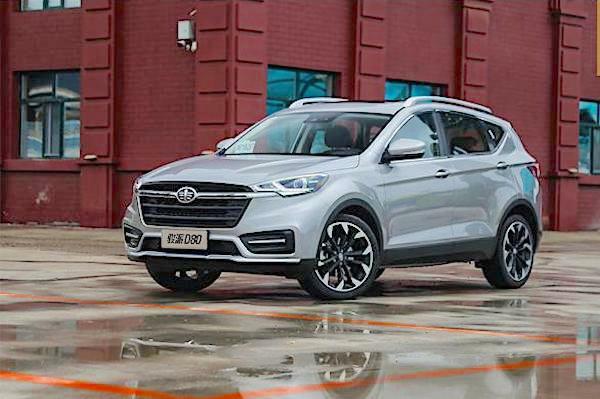 Yet the launches continue to surf on the SUV wave of the past few years: in August 6 out of 7 new launches were SUVs, in September 9 out of 12 and in October 6 out of 10, all Chinese. You can also keep track of the fast-expanding list of all active Chinese brands by consulting our Exclusive Guide to all 177 Chinese Brands, updated live. 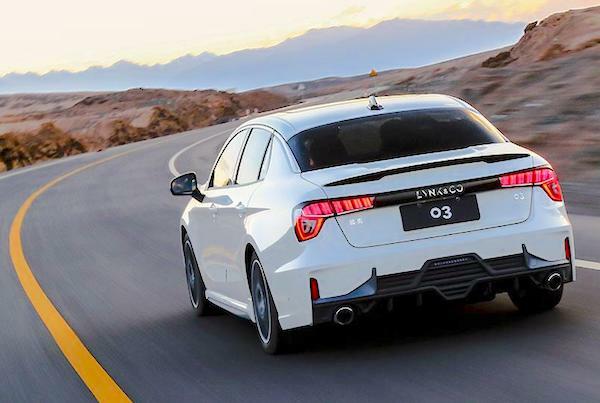 Unveiled last April at the Beijing Auto Show, the La Festa inaugurates a much more sensual design for the Hyundai brand and does look like a sports sedan. Its entry in market could be the breath of fresh air the Korean brand is in desperate need of since tensions about North Korea revived Chinese consumers’ reluctance to purchase Korean cars last year. 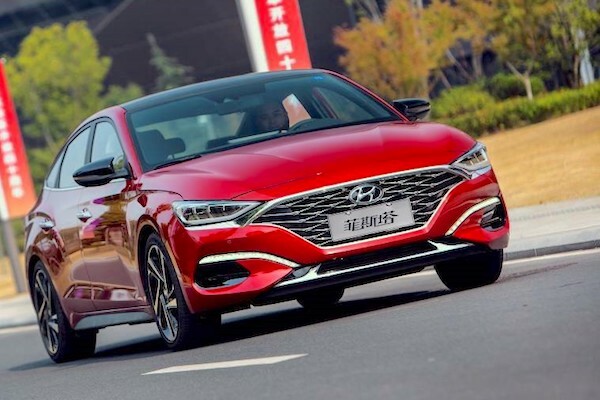 So far, so very good: at almost 7.000 units for its first wholesale month, the La Festa is already Hyundai’s 2nd best-selling sedan below only the Elantra Lingdong (16.576) but above the Mistra (6.262) and Celesta (5.864). It is powered by a choice of three engines: 140hp 1.4, 190hp 1.6 or 204hp 1.6. Within the Hyundai range, priced at 119.800-154.800 yuan (US$17.300-22.300 or 15.100-19.600€) the La Festa slides in above the Elantra Lingdong (99.800-151.800) and just below the Mistra (129.800-169.800). 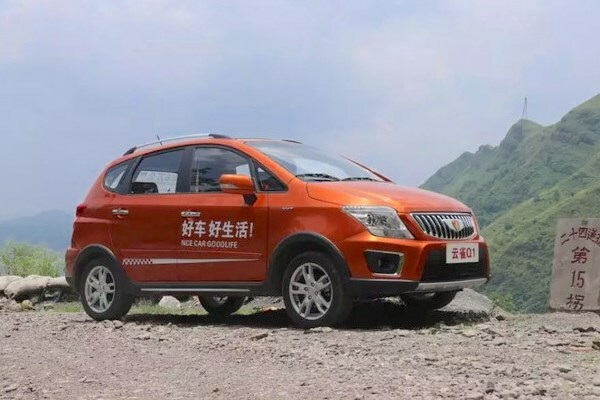 There is great sales potential for this type of vehicle in China as the La Festa will compete with such blockbusters as the Toyota Corolla (107.800-175.800), Honda Civic (115.900-169.900) and VW Lavida (109.900-165.900), while among Chinese models strong contenders include the MG6 (96.800-146.800) and Lynk & Co 03 (116.800-151.800). 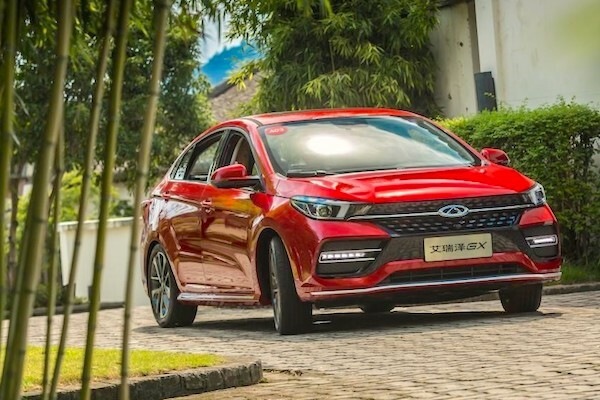 All the aforementioned nameplates already compete with the Hyundai Elantra Lingdong, so the success of the La Festa will depend on whether there is room in the market for an additional model with its range. To generate a positive response to this question, we believe the La Festa needs to stabilise around 10.000 monthly sales. In 2016 Haval, the #1 SUV brand in China, relaunched itself into two separate “labels”: blue for a young clientele, red for an older, wealthier one, in effect doubling the size of its lineup by proposing blue and red versions of each nameplate, only differing by cosmetic changes on the exterior design. These two labels are now sold in two separate networks of dealerships, with the red label dealers also featuring the WEY brand, an “upgrade” which the carmaker seems to think is only attainable by red-label customers. Still with us? I explored this confusing maze during my Haval H6 test drive. Now that the H naming series is almost complete, Haval launched the M6 last year, sort of low-cost version of the its H6 best-seller. 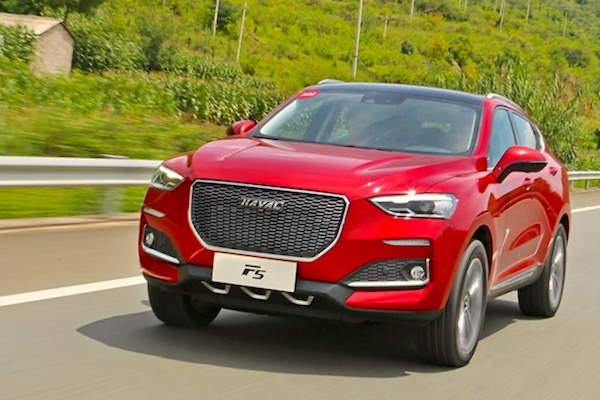 And in 2018 Haval decided to launch yet another series, starting in F, with this F5 described in the local press as a car aimed at younger customers and featuring a black, blue or red logo. I give up. An F7 is soon-to-be-added too. The thing is, at launch at least most new Haval nameplates reach very significant volumes and this F5 is no exception with over 6.000 wholesales to start with, positioning it at #4 in the Great Wall universe this month below the Haval H6 (41.132), H2 (15.094) and M6 (12.275) and above all WEY nameplates. The F5 is 4.47m long, has the same wheelbase as the H6 and is powered by a 169hp 1.5T engine mated wth a 7-speed DCT. Its pricing at 100.000-128.000 yuan (US$14.400-18.400 or 12.600-16.200€) logically position it above the 4.41m H4 (79.000-116.000) and below the 4.60m H6 (102.000-146.800) and mean the F5 will compete with blockbusters such as the Changan CS55 (84.900-133.900) and Geely Boyue (98.800-161.800). To establish the F-series, the F5 should surpass 10.000 monthly sales, a level the M6 has achieved multiple times over the past year. After expanding its Tiggo SUV range over the past couple of years with the 3x, 5x, 7 and 8, Chery is now reshaping its Arrizo lineup focused on sedans. The Arrizo 3, 7e and M7 having been discontinued a whle ago, it is now surprisingly the turn of the Arrizo 5 – the only successful Arrizo nameplate thanks to which this sub-brand survives – to get the chop, although it is replaced by two models: the Arrizo EX and GX. These were supposedly launched simultaneously in the Chinese market on October 10, but only the GX appears in the wholesales charts for now. The price ranges of all these models would however seem to indicate the EX (59.900-82.900 yuan) is a replacement for the Arrizo 5 (49.900-97.900) while the GX (74.900-113.900) should kill the Arrizo 7 (79.900-103.900) which it totally overlaps. GX pricing translates into US$10.800-16.400 or 9.500-14.400€ and it is powered by a 147hp 1.5T engine mated with a 5-speed manual or CVT. This seems a little expensive for the brand which has built the success of the Arrizo 5 on attractive design coupled with cut-throat pricing, and the GX will face such strong sellers as the Roewe i5 (68.900-115.900), Changan Eado (74.900-106.900) and Geely Binrui (79.800-110.800). The Arrizo 5 peaked at 21.148 units in December 2016 but such blockbuster volumes would appear to be a thing of the past with its replacement being split into two nameplates, and in any case we would think the highesr volumes will fall on the cheaper EX even though Chery has surprised us recently with the success of the larger Tiggo 8 and Jetour X70 SUVs. We’d be happy from 6.000 monthly units upwards. The new brand Dorcen, in Mandarin Dacheng (大乘) is led by Wu Hao, son of Wu Jianzhong who was until recently the chairman of Zotye Auto. 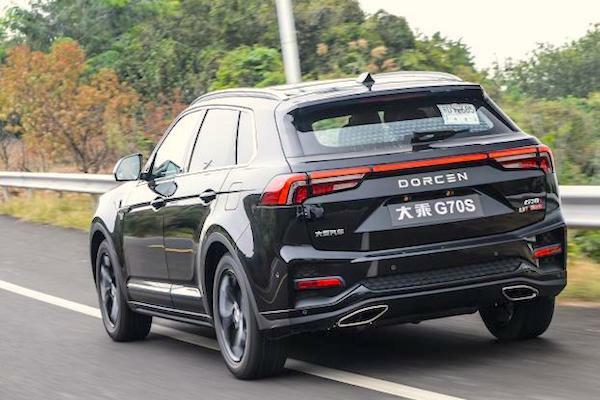 Accordingly, this G70S is a rebadge of Zotye Damai X7S and it looks like the entire Dorcen range will “borrow” from Zotye. The Dorcen brand was born out of the purchase of pickup maker JMCGL and therefore sports an immediate footprint across the country that can only help sales. At the brand launch last September, Dorcen announced they already have two production bases in Jiangsu and Jiangxi, and had completed “construction” of over 100 4S stores, 600 distribution outlets and 400 service stations, with a plan to reach 220 stores, 1.300 distribution outlets and 2.000 service stations by the end of 2019. It’s unclear how much of these were previous JMCGL outlets. More on the Dorcen brand in our Live Guide to all Chinese Brands. 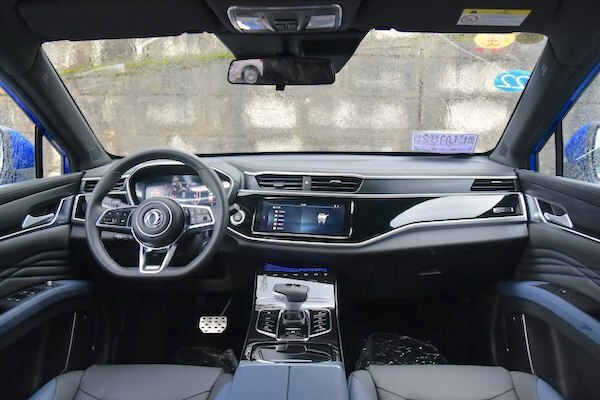 The interior appears to be an updated Damai X7 interior, and the G70S is powered by a 177hp 2.0T engine mated with an 8-speed auto, which is a more powerful engine than the one powering the Damai X7. 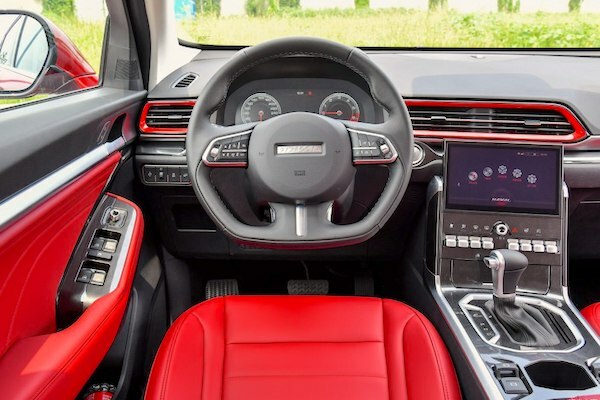 The G70S is a 4.76m long 5-seater and priced between 119.900 and 149.900 yuan (US$17.300-21.600 or 15.200-18.950€) which is courageous and clearly expensive. Although pricing for the X7S is unknown, the X7 starts at 89.900 yuan. Competitors include the Zortye T700 (106.800-155.800), Brilliance V7 (108.700-194.700), Roewe RX5 (99.800-188.800) and Chery Tiggo 8 (98.800-142.800). Nevertheless, there seems to be room on the Chinese market for yet another Zotye-inspired brand (alongside Traum and Hanteng) as a first month above 2.000 units already puts Dorcen roughly at Traum level, the latter benefittng from two nameplates. It’s therefore a good start. Double that and stay there, and we have a success on our hands. 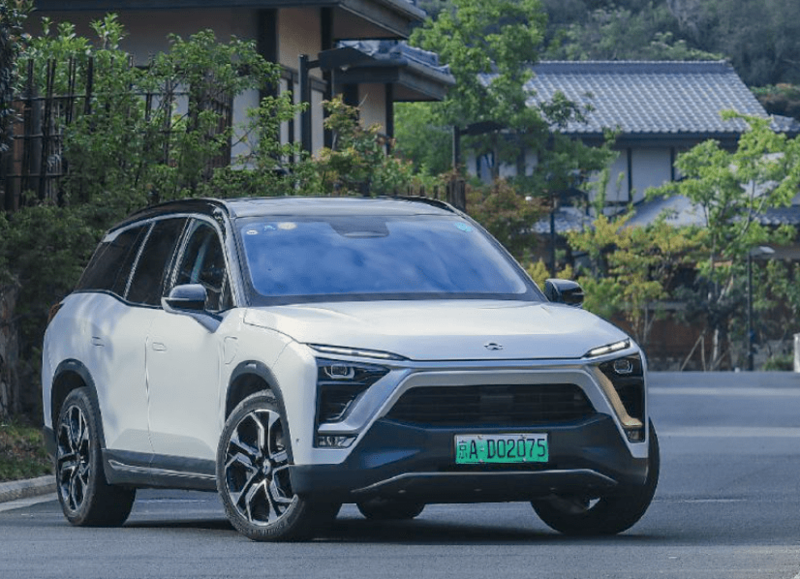 As a BSCB reader you would already know about the NIO ES8 which I met last April at the Beijing Auto Show. The luxury electric SUV has also already appeared in our monthly retail sales charts where it has already amassed 3.414 sales as of end-September. The late arrival of the model in the wholesales charts therefore means we are only catching up wth the reality on the ground. In fact, NIO celebrated the 10.000th ES8 produced in the JAC factory a few days ago, becoming the first Chinese EV startup to reach that milestone, and a smaller ES6 is scheduled for unveiling in two weeks. The ES8 is priced from 448.000 to 548.000 yuan before subsidies (US$64.500-78.9000 or 56.700-69.300€) and is squarely aimed at the Tesla Model X (964.900-1.572.200 yuan) which is more than twice more expensive even though its is powered by a 525hp electric engine vs. 653hp for the ES8. Other competitors include fellow premium Chinese EVs such as the BYD Tang EV (239.900-329.900), Roewe Marvel X (268.800-308.800), Xpeng G3 or Weltmeister EX5 (186.600-298.800). Among combustion models, the ES8 competes in price with the VW Teramont (308.900-518.900), Toyota Prado (443.800-615.800), Audi Q7 (699.800-974.000) and BMW X5 (729.900-1.039.900). A prestigious lineup of enemies, yet the NIO brand seems to have triggered enough cool effect to warrant strong sales. The Tesla Model X will sell a little less than 10.000 units in 2018 and NIO announced last August it had 15.000 orders, so we’d like the NS8 to reach 2.500 per month consistently to be happy and reassured about the long-term survival of the brand. In China, Honda operates two joint-ventures: one with Dongfeng and one with Guangzhou Auto (GAC). 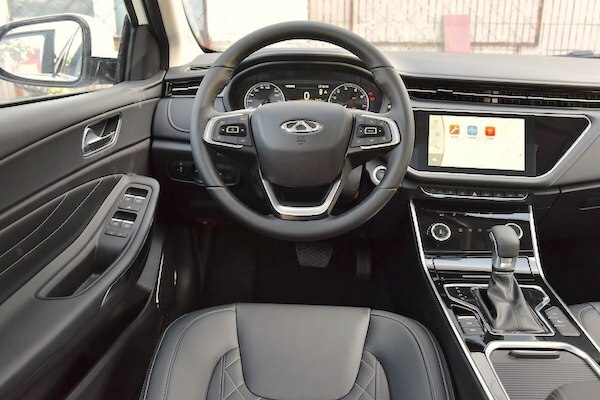 This new Inspire is in fact nothing but the Dongfeng-Honda version of the 10th generation Accord manufactured by GAC-Honda. 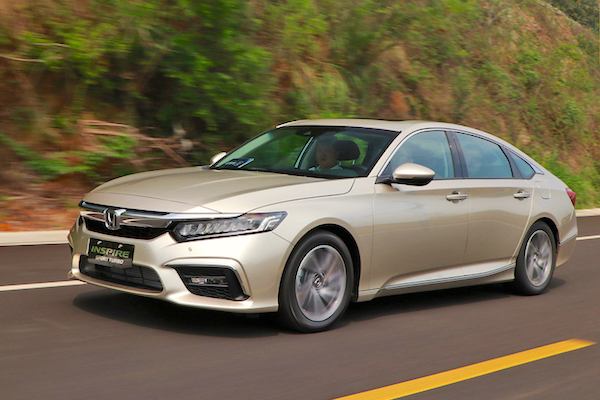 This way it replaces the Honda Spirior which was based on the previous generation of Accord. By launching a new nameplate, it appears Dongfeng-Honda wants to break with the lukewarm reception given to the Spirior in China: born in 2010, its all-time high monthly volume stands at a meagre 3.560 units in June 2017 vs. 29.184 in December 2014 for the Accord. Powered by a choice of 146hp 2.0, 184hp 2.0 or 194hp 1.5T engines, the Inspire is priced from 182.800 to 249.800 yuan (US$26.300-36.000 or 23.100-31.600€), adequately in the same ballpark as the Honda Accord (169.800-279.800). Like its sibling, it competes with the likes of the VW Passat (189.900-303.900), Nissan Teana (175.800-298.800), Toyota Camry (179.800-279.800), Buick Regal (175.800-269.800), Chevrolet Malibu XL (179.900-269.900) or Hyundai Sonata (169.800-249.800). 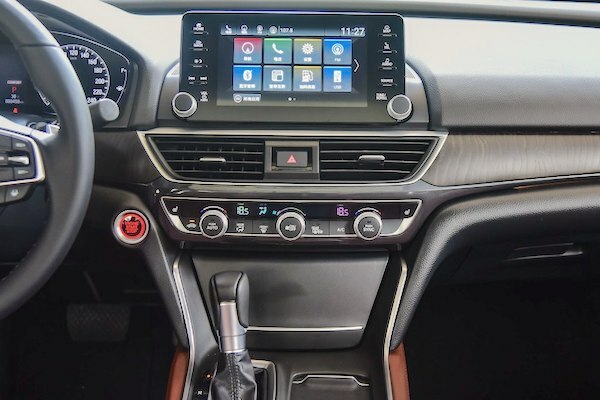 Other Honda twins perform similarly to each other, the most successful being the Honda Vezel/XR-V so there is no reason why this Inspire shouldn’t be much more successful than its predecessor now that it clearly is an Accord twin. Dongfeng should be prudent though, and regular stints around 7.500 monthly sales should suffice to label it a success. 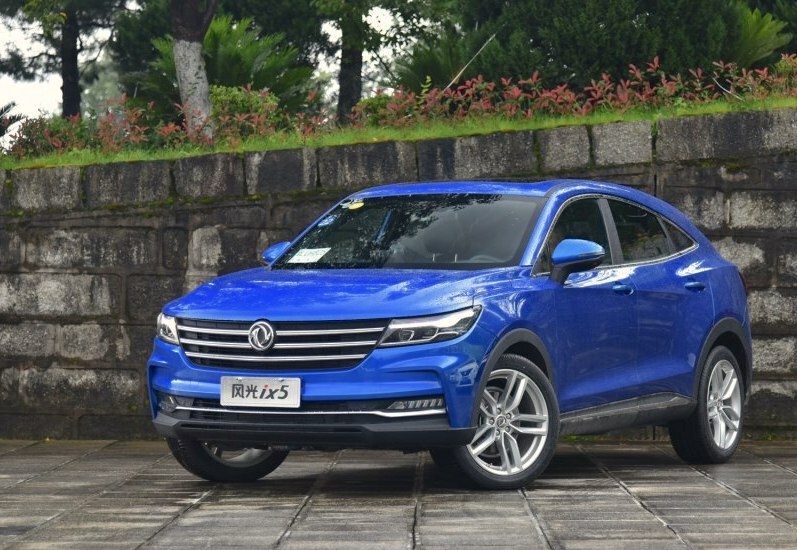 A recent trend among Chinese carmakers is the coupe crossover silhouette once pioneered to the jeers of car fanatics by the BMW X6 then X4, to such great success that Mercedes followed with the GLC and GLE Coupe and Audi most recently with the Q8. Venucia was the first Chinese manufacturer to follow suit with the T90 (109.800-154.800 yuan), then the Borgward BX6 (182.800-199.800) arrived and, arguably, the Lynk & Co 02 (122.800-192.700). 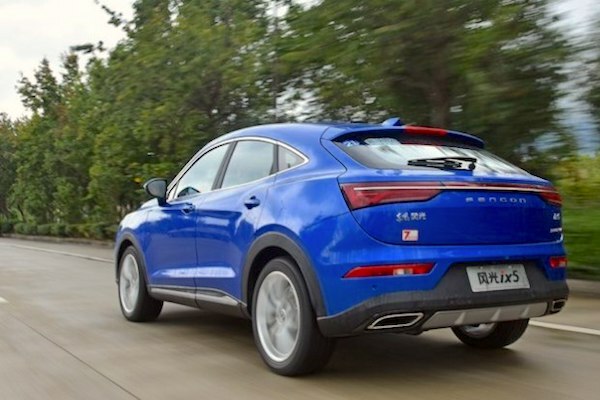 Dongfeng has now joined the ranks with the cheapest coupe-crossover so far at 99.800-149.800 yuan (US$14.400-21.600 or 12.600-18.900€) and the trend is set to accelerate exponentially over the next few months with the Bisu T7, Changan CS85, Haval F7x, WEY Pi4 VV7x and Geely codename “FY11”. More details (in Chinese) on the local coupe crossover tsunami here. The iX5 is powered by a 150hp 1.5 or 180hp 1.5 mated to a 6-speed manual or CVT. 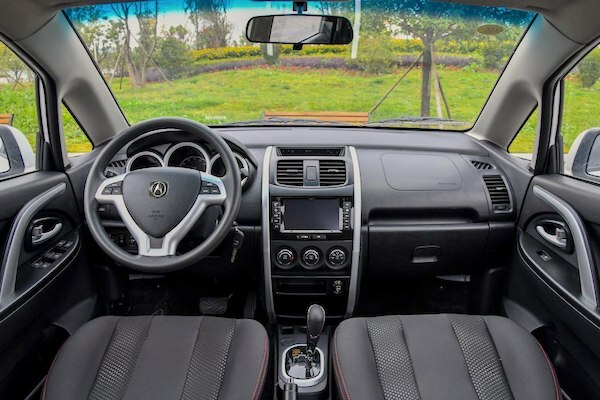 Within the Fengguang SUV lineup, it slides alongside the 580 (volume record 19.771 in October 2017) and S560 (7.500 in January 2018), both blockbusters, so Dongfeng car genuinely harbour serious hopes for the iX5. 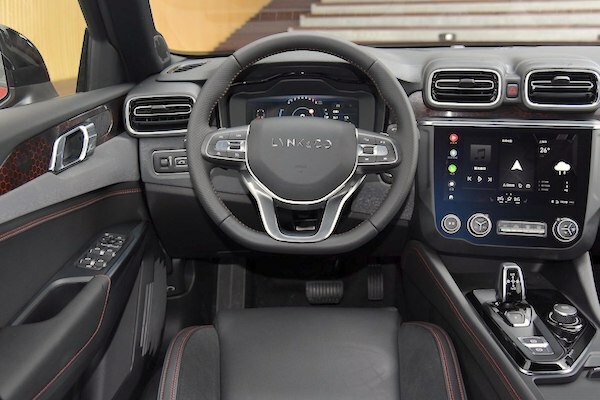 After two crossover, the 01 in December 2017 and 02 in July 2018, Geely-Volvo’s semi-premium brand Lynk & Co has now launched its very first sedan, the 03. Like the 02, the 03 is based on the same platform as the Volvo XC40. You can check out my test drive of the 02 as part of the Beijing Auto Show last April here. It is powered by a 156hp 1.5 engine mated with a 6-speed manual or 7-speed auto or a 180hp 1.5 engine mated with a 7-speed auto only. A hybrid variant is slated for a later launch. The 03 is priced very competitively between 116.800 and 151.800 yuan (US$16.800-21.900 or 14.800-19.200€) compared to 122.800-192.800 for the 02 and 158.800-262.800 for the 01. The 03 is squarely targeted at a slew of foreign-branded, Chinese-made sedans such as the Honda Civic (115.900-169.900), VW Lavida (109.900-165.900), Toyota Corolla (107.800-175.800), VW Bora (107.800-159.800), Hyundai La Festa (107.800-154.800) and Ford Focus (108.800-165.800). But it could also compete with fellow premium Chinese sedan the Hongqi H5 (149.800-195.800), although the latter is a tad more expensive. 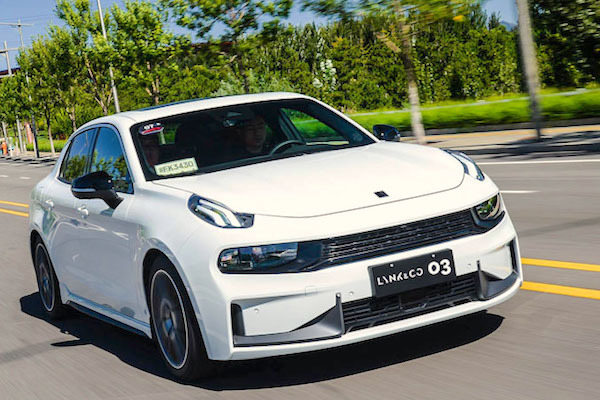 For now the Lynk & Co brand has been a total success, racking up over 100.000 sales in China in less than a year and breaking volume records over the past consecutive 8 months. The 01 hit a record 9.309 units in September and the 02 an all-time high 5.766 this month in October, so we set the bar at 5.000 for the 03. Lark Auto, originally launched in 1991, is now owned by Guihang Youngman Lotus Automobile Co. It was used between 1991 and 2005 for a second generation Subaru Rex build under license and sold as the Lark Miniature, Free Wind and Wow with different bodykits. In January 2018, the Lark brand was revived with the Q1. More on the Lark brand in our Live Guide to all Chinese brands here. 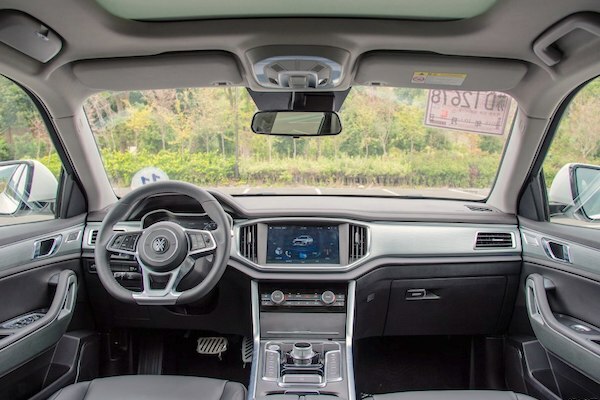 The Q1 is a rebadged Changan CX20 priced from 52.800 to 66.800 yuan (US$7.600-9.600 or 6.700-8400€) and aimed at third and fourth Tier cities. It is powered by a 104hp 1.4 engine mated a five-speed manual or auto and features on its grille the same logo as the defunct brand Youngman Lotus. The Q1 competes with low-cost vehicles such as the Changan Yuexiang (49.900-65.900), Geely King Kong (43.900-64.900), Hyundai Rena (49.900-73.900) and Kia Pegas (49.900-73.900). Lark is ultimately destined to produce affordable electric vehicles, with the combustion Q1 only a stepping stone towards mass production for the brand, so no high hopes here. First Automotive Works (FAW) was the very first automotive manufacturer in China, but has lately been struggling with poor sales across its large spectrum of sub-brands. Besturn is destined to more upmarket vehicles, mostly sedans, Senia seems to have a similar role but for crossovers (although there are Besturn crossovers too) and Jumpai was supposed to cater for the lower-end of the market which has traditionally been where FAW lies: the FAW Xiali used to be China’s best-selling vehicle over a decade ago in 2005. This 4.50m-long Jumpai D80 is therefore based on the FAW Senia R9 but is priced almost identically at 79.900-125.900 yuan (US$11.500-18.100 or 10.100-15.900€) vs. 83.900-125.900 for the Senia, in a move that is sure to confuse buyers. Moreover, it is actually relatively expensive for a Chinese crossover, and FAW can definitely not afford to command premium prices. 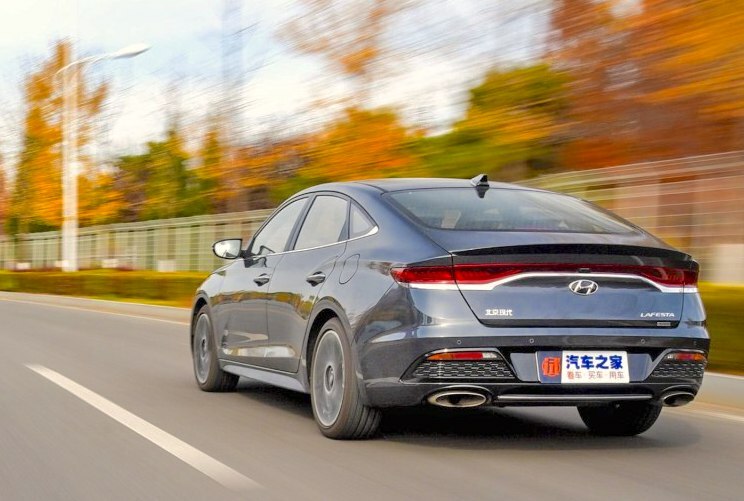 Within the Jumpai range, the D80 logically slides above the D60 (56.900-89.900) and competes with the likes of the Geely Vision SUV (74.900-105.900), Changan CS55 (84.900=133.900), the longer 4.72m Jetour X70 (69.900-120.900) and Chery Tggo 8 (85.900-150.900). The Jumpai D60 peaked at 4.154 units in January 2015 but hasn’t loaded a four-digit sales figure since last January, wth the Besturn X40 (down 59% to 3.628 in October) currently the brand’s best-seller by far. Let’s not be too pushy and table on at least 3.500 monthly units to enable FAW to dream about the road to recovery.